Suit he been seeking $60 million in compensation for five-year prison term in Cuba. 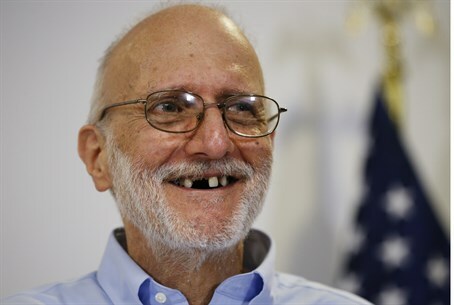 The US Supreme Court has rejected an appeal by Alan Gross, the government contractor who wound up serving five years in a Cuban jail, and who now wants to sue Washington for negligence, AFP reports Monday. Gross spent five years in Cuban jails after distributing laptops and communications equipment to the island's small Jewish community as a subcontractor for the US Agency for International Development. Cuba's Communist government tried and convicted Gross for crimes against state security, sentencing him to 15 years. He was finally freed on December 17, 2014 - the same day Havana and Washington announced they would reverse decades of Cold War bad blood, and seek to restore full diplomatic ties.